Because Nature is Essential to Our Quality of Life. Founded in 1974, the Berks Conservancy is a nonprofit organization in Berks County, PA. It is involved in a wide range of “green” activities, such as land trusts, trail management, eco-education programs, watershed improvements, urban garden management and more. The Berks Conservancy was opening a new eco-friendly, LEED-certified headquarters and nature education center in 2017 on 7.5 acres. The center would be a regional destination for a wide range of green activities. With the importance of the center, management tasked CrossRoads Studios with the mission of assessing the strategy and name development. They also requested advice on any opportunities to clarify and strengthen its overall message, products and services for its diverse regional target groups. To add to the challenge, management indicated customer confusion with other regional green voices including the Natural Lands Trust, Wildlands Conservancy and the Berks County Parks & Recreation. CrossRoads Studios worked with the Berks Conservancy management to create a branding solution to bring clarity, strength and boldness to its overall message within the Berks County community and the greater Philadelphia region. CrossRoads Studios rolled up its collective sleeves and dug in. Interviews with management, select board members and customers were conducted. CrossRoads Studios quickly discovered there was market confusion as well as real opportunities to consolidate and strengthen the message. Based on strategic findings and recommendations, the Berks Conservancy agreed to refocus all their brands into one “Über” brand, Berks Nature, with everything located under one website. Along with the simple, bold, new logo, CrossRoads Studios recommended the construction of a highlight feature to allow for flexibility of promotional panels for sub-brands and unique usages, like “volunteer”. Sub-brands include Conservancy, Trails, Eco-Camp, Education, Ambassadors and a new Nature Preschool. 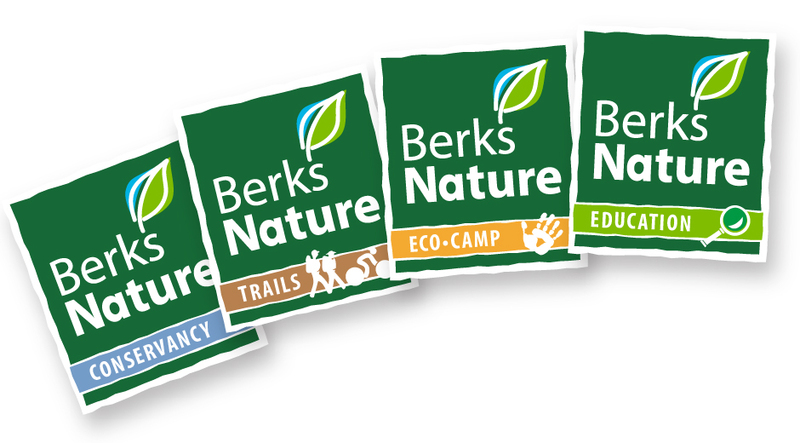 As a regional destination spot, it was determined that the new center should have its own identity with an endorsement from Berks Nature. Hence, “The Nature Place” was developed. This identity included a dramatic underscore of the type which, on closer inspection, is representative of the creek (complete with small critters) that runs through the location’s wetlands. Changing to Berks Nature is a significant change for our organization. It is a big moment in our history. It really strikes me with excitement for the future. Our four brands were four different ways we were asking our audience, clients, customers and members to think of us. Now we are one Über brand. Now we are much stronger and positioned for the future. Is your nonprofit message as strong as it can be? If not, we can help. 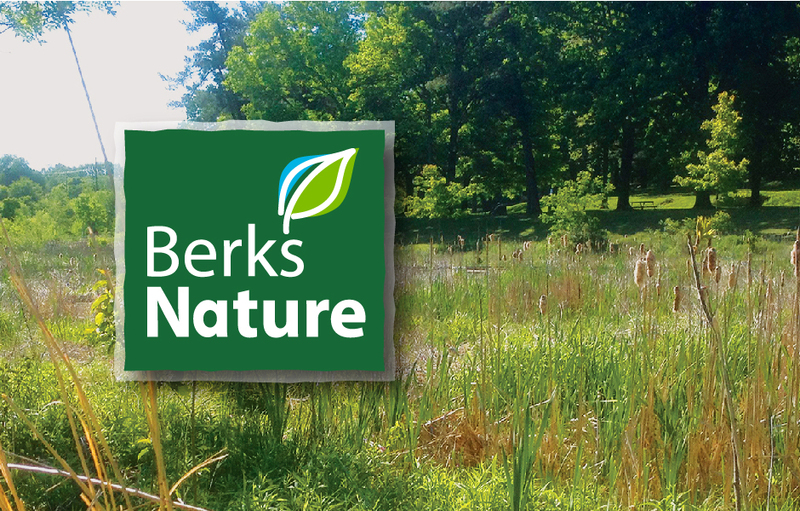 CLIENT NOTES: Berks Nature is a 501(c)(3) conservation organization located in Berks County. To date, Berks Nature has preserved more than 7,500 acres and has assisted with protection of an additional 1,300 acres in the county. In addition to land focus, Berks Nature is addressing water resources and watershed management.